Want To Sell A 1968-1973 Datsun 510 Laurel? Ask The Chicago Car Club! Are you wondering "where to sell my Datsun Laurel ?" The Chicago Car Club is interested in classic cars of all makes and models, especially a Datsun Laurel. We make the process of selling your Datsun Laurel quick and painless. In just a matter of hours we will have your classic valued and, if you do so choose, turned into money in your pocket. All it takes is a phone call or electronic inquiry to get the ball rolling. The Datsun Laurel was a midsize car built by Nissan, between the years of 1969 and 2002. The First generation (C30) cars, built from 1968–1972, and the Second generation (C130) cars, made from 1972–1977 are the ones most sought after by classic car collectors and auto enthusiasts. These first generation, C30 Laurel cars were built between 1968 and 1972. They were offered in the body styles of a 2-door hardtop coupé and a 4-door sedan. Its layout was front engine with rear drive. 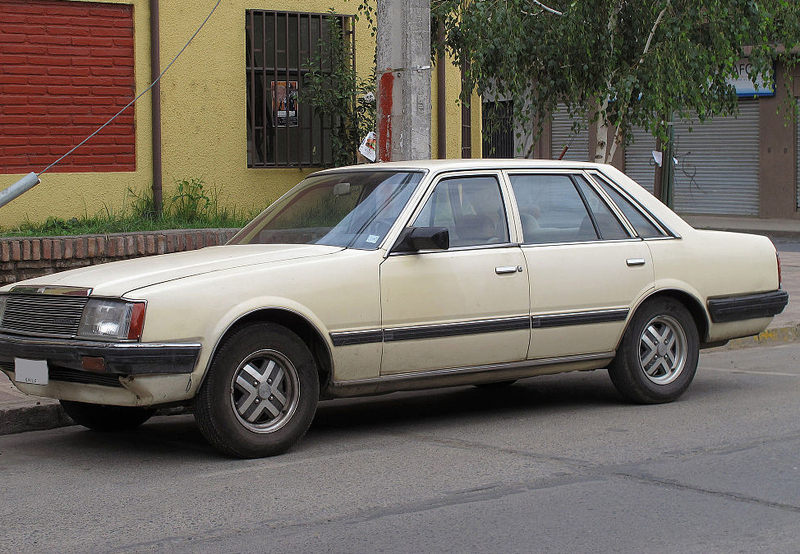 Its design was related to the Nissan Skyline, but it had a smaller engine. The powertrain choice was either a 1.8 L G-18 I4 or the larger 2.0 L G-20 I4 engine. Transmission choices of either a 4-speed manual or a 3-speed automatic were available. Generation 2 of the Laurel, known as the L200 or C130-series, belongs to mid-size luxury or executive car class, called the “E (executive cars)” market segment. The car was offered in configurations with 4-door sedan and hardtop coupe body shapes between the years 1972 and 1977. These cars were outfitted with engines from 1990 – 1998 cc (121.2 – 121.7 cui) displacement, delivering 73.5 – 92.5 kW (100 – 126 PS, 99 – 124 hp) of horsepower. One model of note was the 1977 Datsun Laurel Six 200L Hardtop Deluxe. It used a 2-door coupe body type with RWD (rear-wheel drive) and a manual four-speed transmission. Its petrol (gasoline) engine had displacement of 1998 cu cm / 121.7 cu i, advertised power: 84.5 kW / 113 hp / 115 PS ( SAE ), torque: 163 Nm / 120 lb-ft. Top speed was 170 km/h (106 mph) (as declared by the factory.) It had a 0-60 mph time of 11.7 seconds and 0-100 km/h of 12.5 seconds.